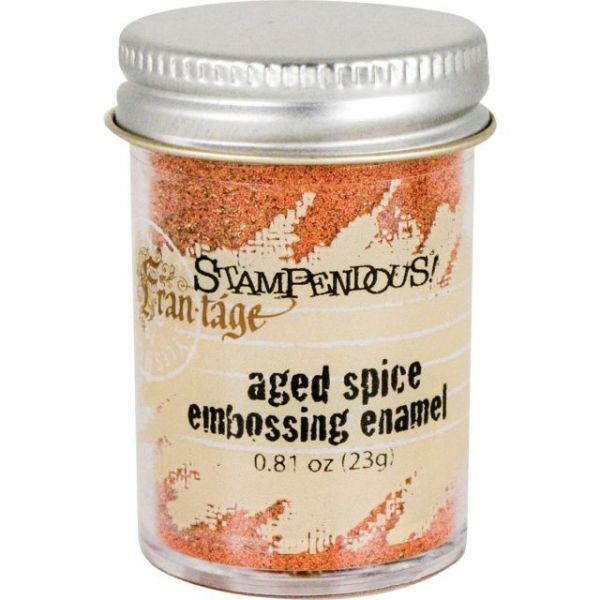 Stampendous Aged Embossing Enamel .60oz - STAMPENDOUS-Aged Embossing Enamel. 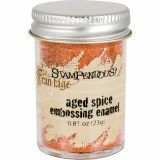 A chunky vintage-inspired embossing powder that accepts glitter and mica well and provides a thick layer of enamel to projects. For best results use a slow- drying ink and heat from the underside. This package contains 0.81 ounces (23g) of embossing powder. Color: Spice. Made in USA.